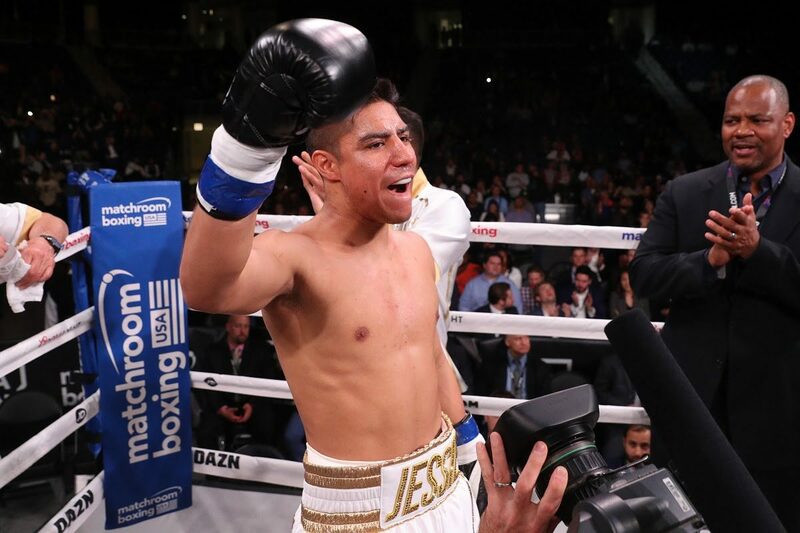 Former two-weight World champions Jessie Vargas and Humberto Soto will clash in a vital showdown for their World title ambitions on a blockbuster bill at The Forum, Los Angeles on Friday April 26, live on DAZN in the US and on Sky Sports in the UK. Vargas and Soto will meet at 151lbs as they both look to add a third weight class to their World title CVs later in the year at Super-Welterweight. Vargas (28-2-2 10 KOs) kicked-off the live American shows on DAZN in an entertaining Welterweight showdown with Thomas Dulorme in Chicago in October, with the fight ending in a draw. The Las Vegas man has now identified World honors at 154lbs as his next target, with Mexican talent and WBO ruler Jaime Munguia top of the hitlist as he defends his title against Dennis Hogan two weeks before Vargas and Soto meet, live on DAZN. Soto (69-9-2 37 KOs) breathed new life into his career with a great win over Brandon Rios in a tear-up in his hometown of Tijuana, Mexico in February. The 38 year old is chasing the 70th pro win of his remarkable career, and could force his way into a clash with fellow countryman Munguia. “I’m excited for my return to the ring on April 26,” said Vargas. “Humberto Soto is the opponent and I’m preparing accordingly with my coaches to give my fans an entertaining fight as always. “The odds were against me in my last fight against Brandon Rios and I know that this fight will not be any different,” said Soto. “This gives me extra motivation to prove everyone wrong again and to add a third loss to Vargas’ record. “Vargas vs. Soto completes a huge card in LA on April 26,” said promoter Eddie Hearn. “Soto was outstanding in defeating Brandon Rios a few weeks back in Mexico and goes into this fight full of confidence attempting to upset the odds again. Vargas’ clash with Soto is part of a huge night of action on Matchroom Boxing USA’s first show in Los Angeles, topped by two massive World title fights as Srisaket Sor Rungvisai (47-4-1 41KOs) and Juan Francisco Estrada (38-3 26KOs) meet in a rematch for Rungvisai’s WBC and Ring Magazine titles and WBA Bantamweight champion Daniel Roman and IBF king TJ Doheny meet in a unification battle. It’s Vargas’ first fight under hall of fame trainer Freddie Roach, who will see his charge Scott Quigg (35-2-2 26KOs) continue his path to becoming a two-weight World champ.